These things would sell like hot cakes, I tell ya. Hot cakes. Those were very close to an inspiration for me. When I was given my ONE opportunity for a pro dept order I couldnt decide what i wanted to do. In the end, I went with what was more 'me' and went RV23 - but the temptation to copy yours was hard to ignore. A 1000 with that web would break the DMS site. no joke!! 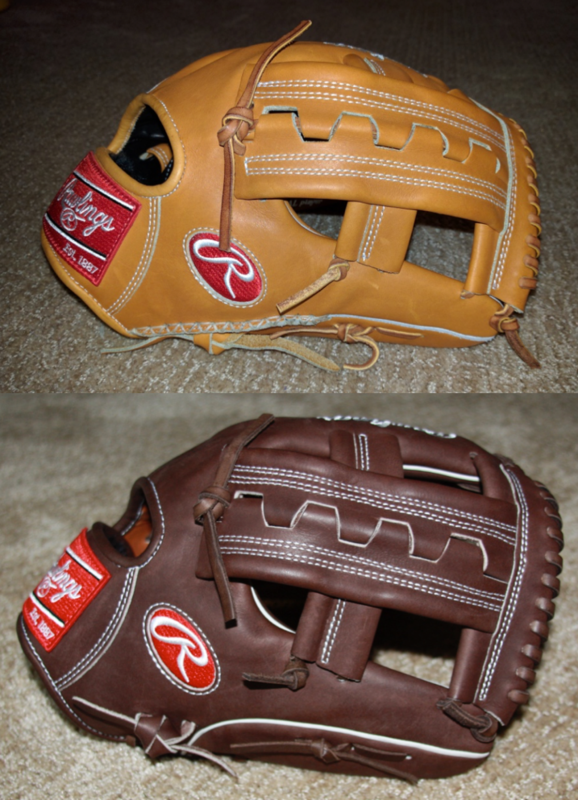 @ballgloves The new Horween lineup looks amazing! Thanks for posting here and listening to our feedback. I just picked up two and can't wait for the break-in to begin. I just picked up the T 204 and SXSC, wish the SXSC had the correct lacing on the web though! That would've been impressive. If they used the anchor down lacing pattern, would that have been the first time from the Philippines? I am not sure, but I would guess so. Anything made in the last 18 years of my collecting has come from Bob in the USA with the anchor lacing. When mine comes today I'll be curious to see if there is a "Pattern" stamp on the inside of the thumb. with the double heel lacing, I am unfortunately guessing this is based off a PRO-88, one of the worst patterns Rawlings has ever put out there.